Westminster – Anne Stone Ables, 80, widow of the late Max Hall Ables, of 378 Dairy Farm Road, passed away November 29, 2018, at Oconee Memorial Hospital. Born in Oconee County to the late T C and Madge Morgan Stone. Anne was an employee with the City of Westminster for over 20 years as a water treatment operator. She was a member of Earles Grove Baptist Church. 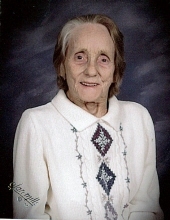 She is survived by her son, Robert “Buck” Ables; daughters, Kim Ables Pruitt (Lamar) and Lisa Ables; grandchildren, Jeremy, Craig, Telia, Trevor, Emily, Arlington, and Thomas; great-grandchildren, Jaylin, Jack, Levi, and Logan Pruitt, Mavrick White, Lane and Lake Ables, and Wesley Stargel. Ms. Ables was the last surviving member of her immediate family. In addition to her parents, she was preceded in death by her husband, Max Hall Ables. A funeral service will be at 2:30 pm, Sunday, December 2, 2018 at Earles Grove Baptist Church with burial to follow in the church Cemetery. The family will receive friends 1-2 pm prior to the service. Flowers are accepted. The family is at the residence. Condolences may be expressed online by visiting www.sandiferfuneralhome.com. To send flowers or a remembrance gift to the family of Anne Stone Ables, please visit our Tribute Store. "Email Address" would like to share the life celebration of Anne Stone Ables. Click on the "link" to go to share a favorite memory or leave a condolence message for the family.